Having trouble to find the perfect gift for your loved ones? If you are not sure about your choice or if you lack of inspiration, choose the Rossignol GIFT CARD and make sure you please your relatives with an appropriate gift. How does this work? You decide which amount you want to put on the gift card and you allow the person of your choice to spend this amount on Rossignol.com for any of our items: urban wear, footwear, skiwear, and ski equipment. - You enter the exact amount you want to put on the gift card. Be careful, the amount cannot exceed 10000 kr. - Or you can also choose one of our options: 250 kr, 500 kr, 1000 kr, 2500 kr or 5000 kr. 2. Enter the email address you want the gift card to be sent to. Why choosing to offer a gift card? The recipient will be able to use the promo code associated to your gift card several times on different items until the total amount is spent. The recipient will have to pay the difference between the price of the items he chose and the amount of the gift card. To know more about online payment, click here. For any purchase over the amount of the gift card, the total amount of the gift card must be spent. It is impossible to spend half of the gift card if the total amount of the purchase is bigger than the amount of the gift card. How is the gift card sent to the recipient? Once you have chosen the amount of the gift card and paid for it, the gift card will automatically be sent by email to the recipient (or to yourself if you entered you own email address) with a unique promo code. The recipient can use this unique promo code on our website rossignol.com to buy any item he/she wants and spend the amount you decided to put on the gift card. If you wish to keep the gift card a secret until the D-Day, we advise you to enter your own email address and to give the unique promo code you will receive by email to the recipient. You can also enter the email address of the person you want to offer the gift card to. The recipient will instantly receive the gift card on his email address with the unique promo code corresponding to the amount you entered. 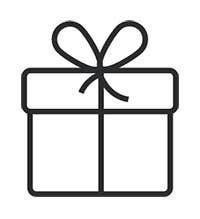 Can I use the gift card in Rossignol shops?